Fremont Auto Center – the premier Fremont auto repair shop offers pre-purchase inspections for your peace of mind. Buying a used car can be a daunting experience – not only because of the choice of the car itself, but also because of the pitfalls associated with used cars. Without a professional inspection it is very difficult to find out what shape a used car is in. 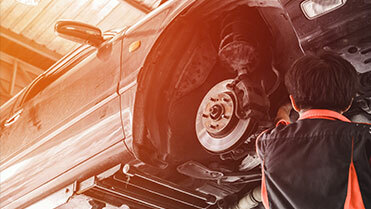 At Fremont Auto Center we can access repair database which may have vehicle’s repair history – that’s in addition to performing a thorough inspection. Even if you are buying a used car from a dealership or a used car lot, we highly recommend getting a pre-purchase inspection. If you are in the Fremont area and looking to purchase a used car then visit Fremont Auto Center today. Our technicians will perform a thorough inspection of the vehicle, and will provide you with written results – the good, the bad, and the ugly. We also take the car for a test drive to assess handling and overall performance. Those are just a few of the areas we check – and we will provide you with a written report that you can take to the seller – if the vehicle requires repairs, you may ask the seller to have them done before the sale, or to lower the price. If you choose to have the repairs done at our shop – we are a full service auto repair shop – whatever ails the vehicle – we can fix it. Whether it’s the infamous check engine light, suspension problems, a/c repairs, shocks and struts – we will get it done, usually the same day. So next time you’re going to buy a used car give yourself a little piece of mind and have us perform a pre-purchase inspection. A little investment can go a long way.